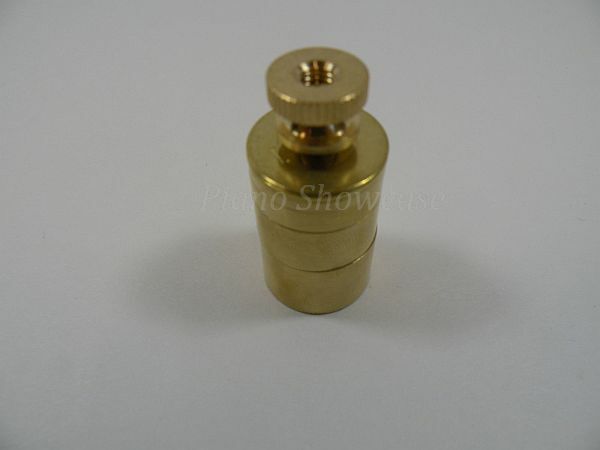 This set of brass weights is useful in regulating the touch resistance of piano keyboards. Graduated from 1 to 64 grams, any weight can be achieved within this range in 1 gram increments. Set if of 6 with sizes 1, 2, 4, 8, 16 and 32 grams. To use remove screw top and stack to achieve desired weight.